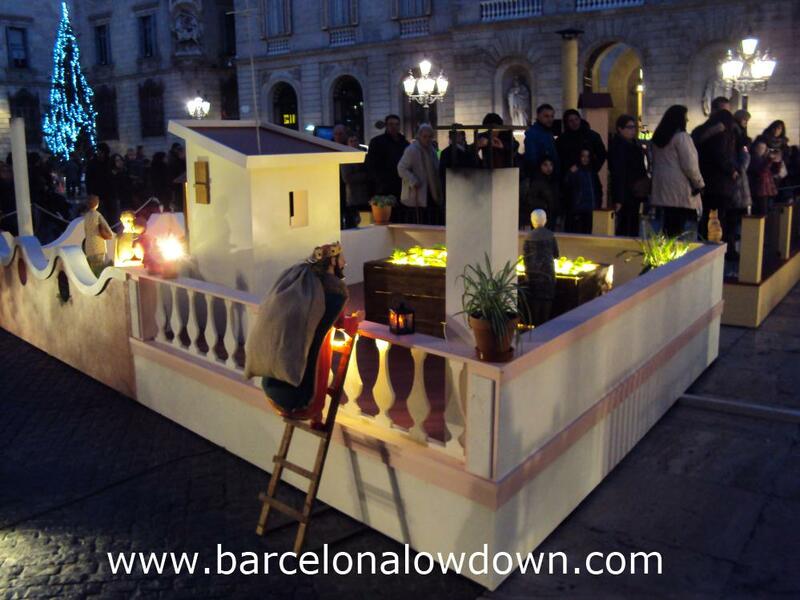 Every December a giant Nativity scene or “Pesebre” is installed in Plaça Sant Jaume. The design changes each year and never fails to surprise. 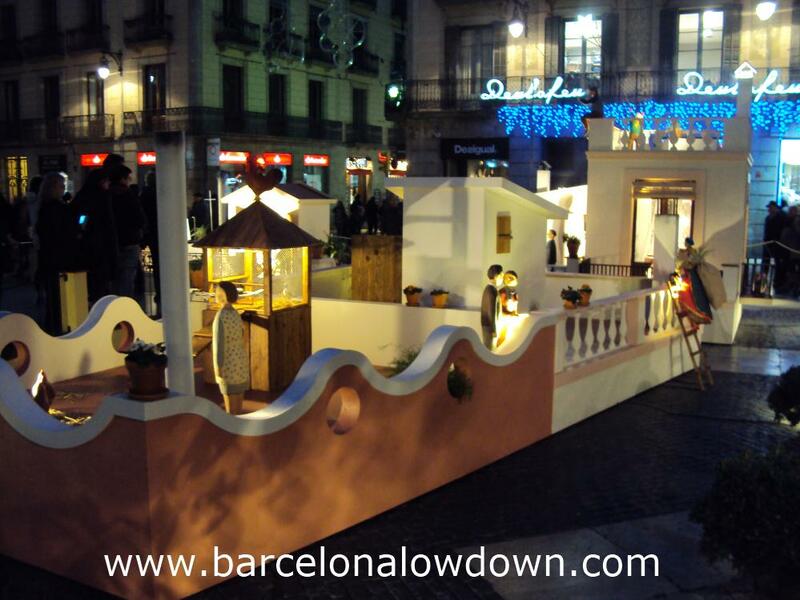 This years Pesebre depicts life on Barcelona’s rooftops and is one of the most original and interesting that I’ve seen. The traditional characters are all represented but with a modern twist. 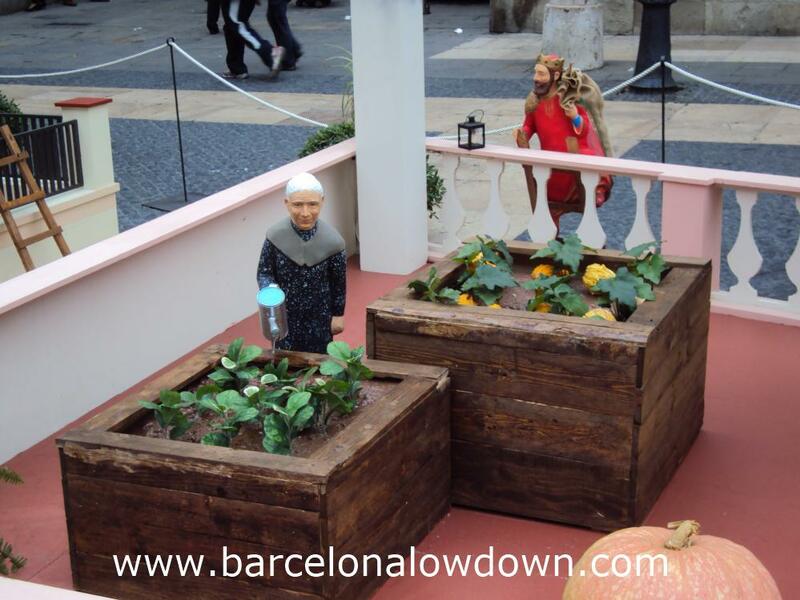 For example the farmers who normally appear in Catalan nativity scenes are replaced by a granny tending her roof-top garden and a young woman feeding her pet doves. 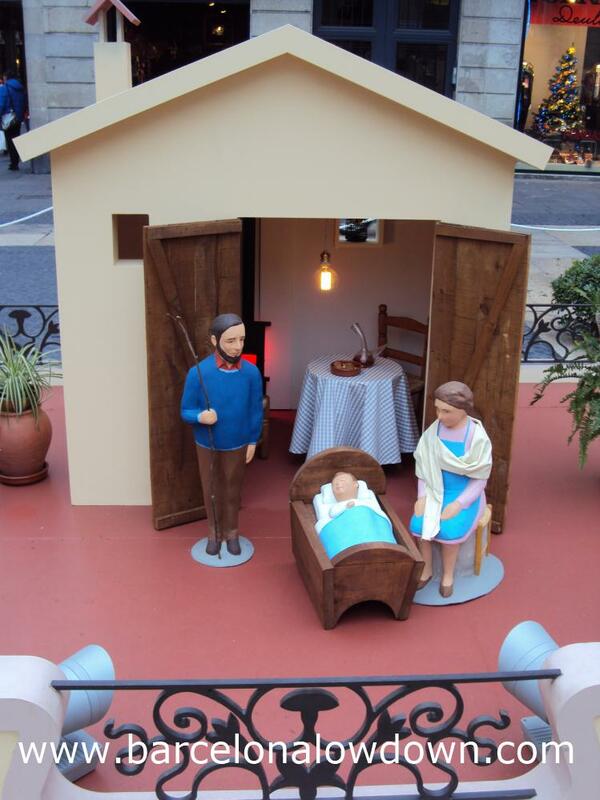 The only nativity characters who haven’t been modernised are the 3 kings who can be seen climbing ladders up to the rooftops. 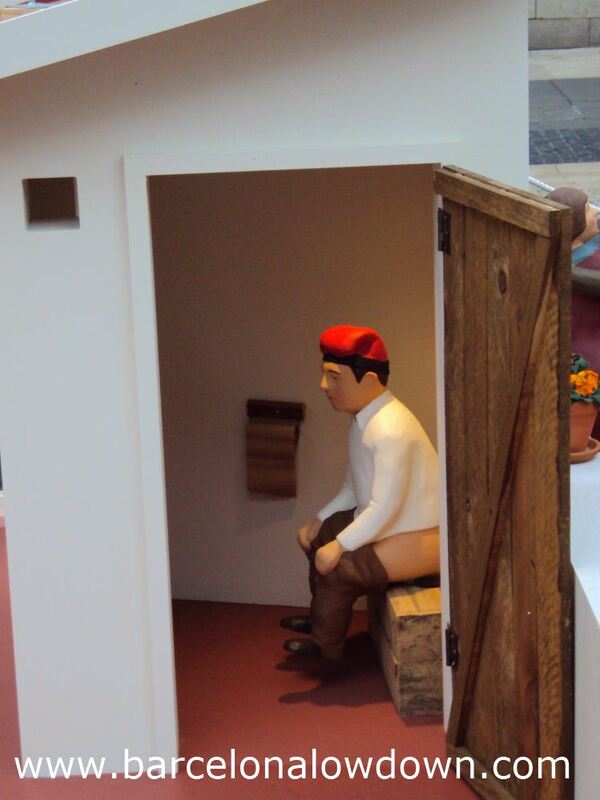 There is also a child feeding a Caga Tió on a balcony and a caganer sat on a rooftop toilet !